You should always carry water in the back country, to keep yourself hydrated, to add to cooking, and to cool you down. A quality Canteen is an essential bit of kit. 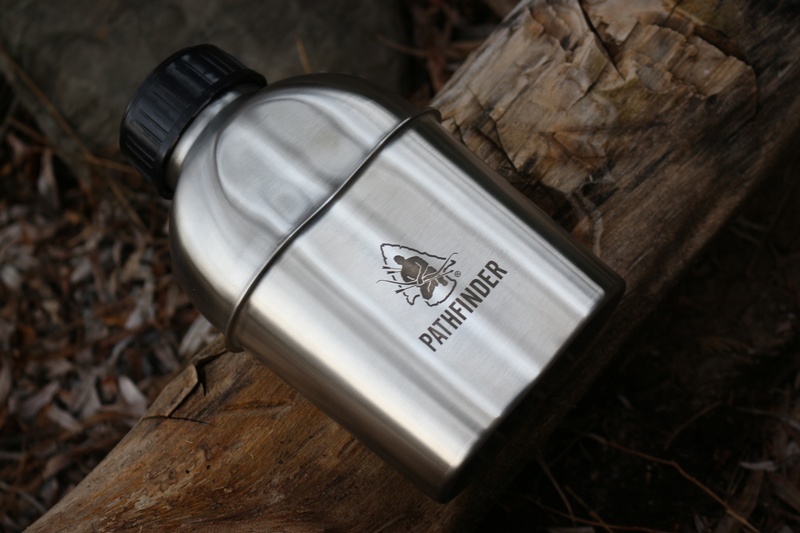 Quality Stainless Steel Canteen from Dave Canterbury and the Pathfinder School. 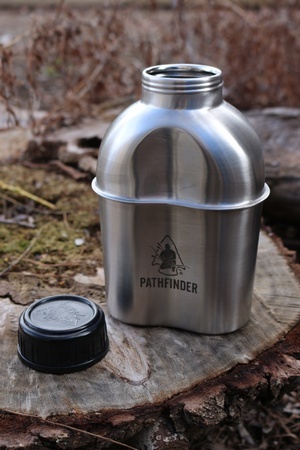 This wide mouth 39oz (1.1L) Military style canteen offers a secure and tough container for water. Purchase through PayPal by using the "Add To Cart" button above or use the form below to order the Pathfinder Stainless Steel Canteen . 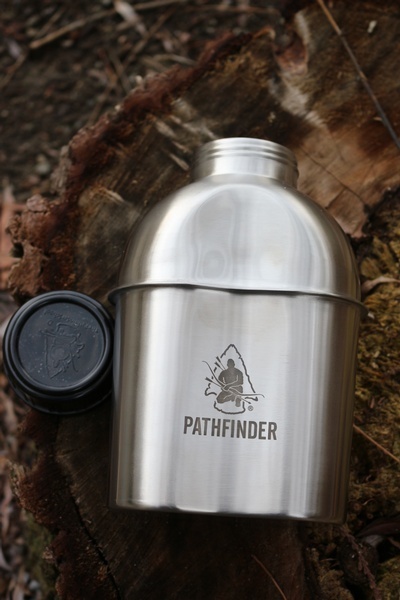 Feel free to contact us if you have any questions about the Pathfinder Stainless Steel Canteen .